People can roam about in the Brooklyn Point Sales + Design Gallery designed by Kohn Pederson Fox Associates, the Dime Savings Bank of Brooklyn by JDS Development, the Ashland by FXCollaborative Architects and SPAN Architecture, and many more old and new landmarks in Making Place: Downtown Brooklyn, organized by Open House New York. More than twenty sites are participating in the Open House event happening on June 23. A discussion about the change and transformation in the region featuring Downtown Brooklyn Partnership President Regina Myer, FXCollaborative Design Director Gustavo Rodriguez and other industry leaders will take place at the ISSUE Project Room at 10:30 a.m., kicking off the day-long events. 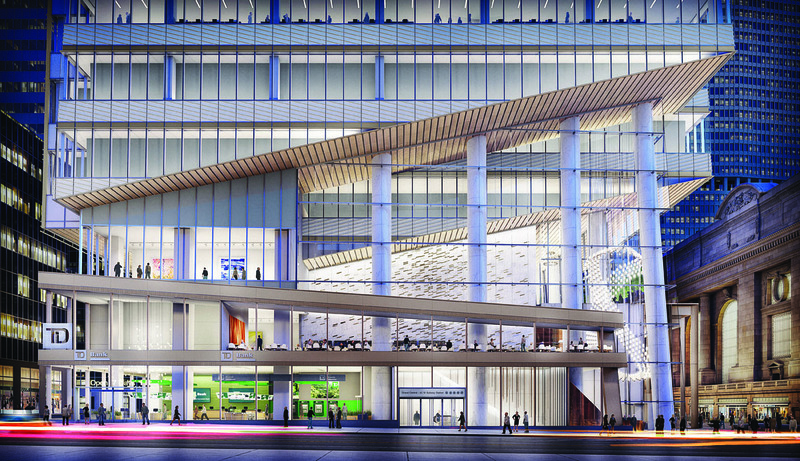 Downtown Brooklyn has undergone dramatic changes in the past two decades. It has now emerged as a new area for real estate and commercial development. 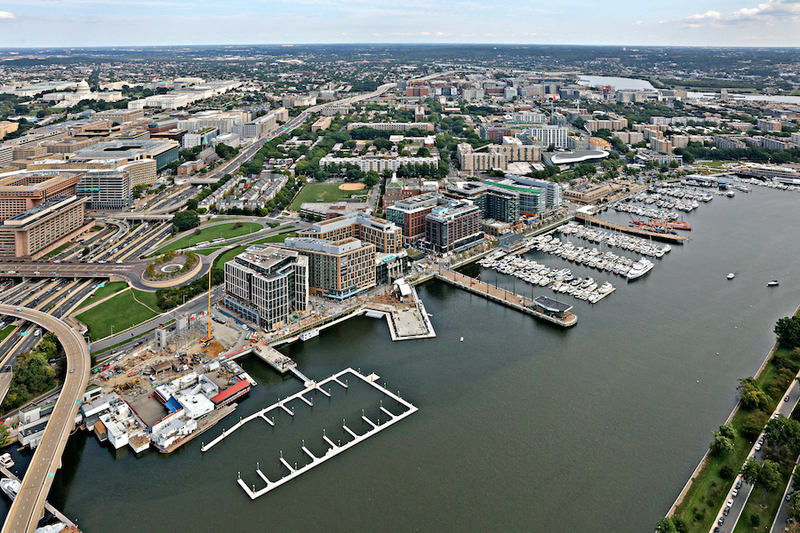 The neighborhood is flooded with commercial creativity and upscale living. This event will offer an insider look at the transformed, up-and-coming district. 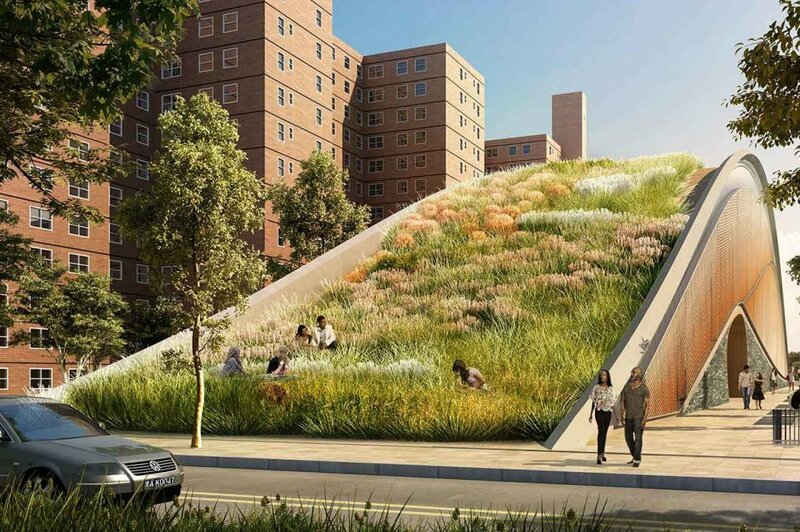 Other participating sites include Brooklyn Strand Action Plan by WXY architecture + urban design, the New York Transit Museum, Polonsky Shakespeare Center and the Schermerhorn. 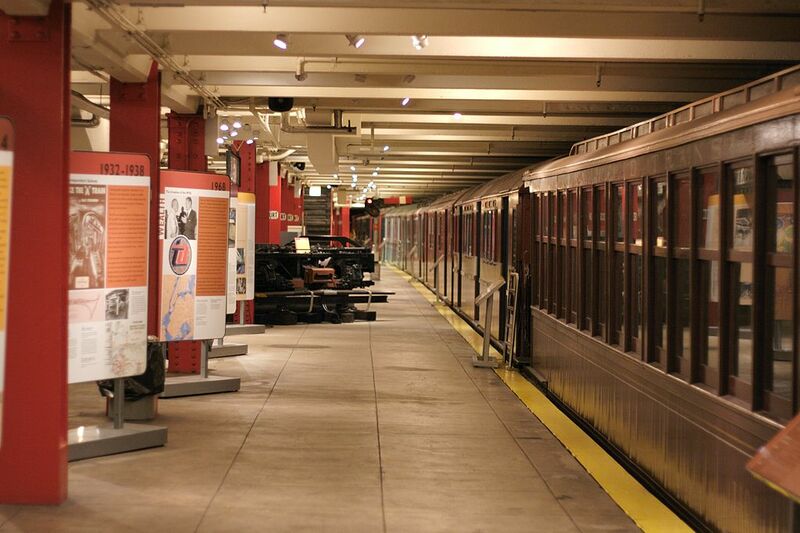 The general public can purchase tickets to attend tours and panel discussions in those private buildings. Tickets can be purchased at this link. The rise of autonomous vehicles (AVs) is inevitable and—depending on who you ask—they’ll either eliminate car crashes and save the environment, or muscle out pedestrians from the street, steal our personal data, and create biblical levels of gridlock in our cities. But despite the divide over how the technology should be implemented, the common thread that runs between apostles and bashers alike is the belief that cities, planners, and architects are woefully unprepared for the changes self-driving cars will bring. In November 2017, the AIA held an event centered on the topic, "Anticipating the Driverless City,” and the furor seems justified following the death of a pedestrian at the grille of an autonomous Uber car. “Planners think in 30-year increments, and autonomous vehicles are already hitting the streets today,” Nico Larco, co-director of the Sustainable Cities Initiative at the University of Oregon, said. “Urban planners should be terrified.” Larco’s not wrong. Only a few states even have regulations for driverless cars, let alone ideas for designing a future without parking. With Ford launching self-delivering pizzas in Miami, Google’s Waymo rolling out an autonomous ridesharing service in Arizona, and driverless taxis making inroads in cities all over the world, architects and planners will either need to look ahead or be stuck in triage mode. Sam Schwartz, former New York City Traffic Commissioner from 1982 to 1986 and founder of his eponymous traffic and transportation planning and engineering firm, has categorized the potential futures as “the good, the bad, and the ugly.” The “good” A utopic self-driving car scenario would have driverless cars constantly circulating and on the prowl for riders, while providing “first mile, last mile” access to and from souped-up mass-transit corridors. If AVs truly take off and replace a sizable portion of manned cars on the street, then parking lots, garages, and driveways—not to mention thousands of square feet of on-street parking per block—would sit vacant. 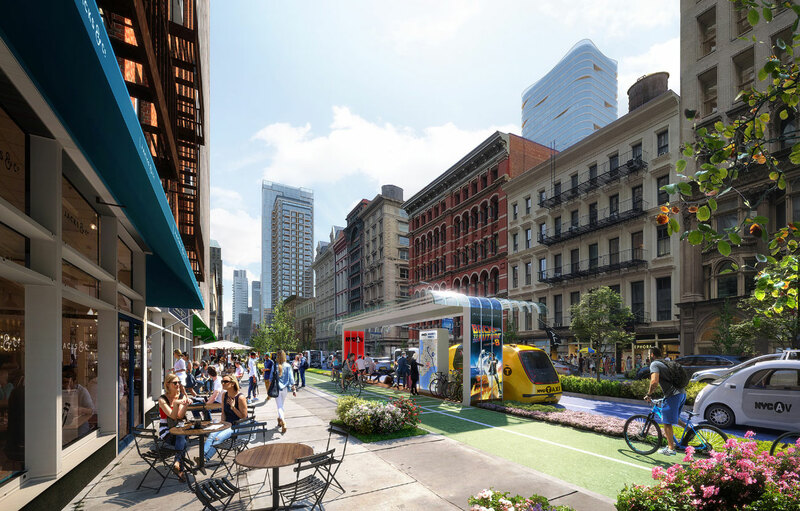 Walking, cycling, and autonomous (electric) buses would feature heavily in a multi-modal transit mix, and streets would narrow as bioswales and strips of public parks replaced parking spots. 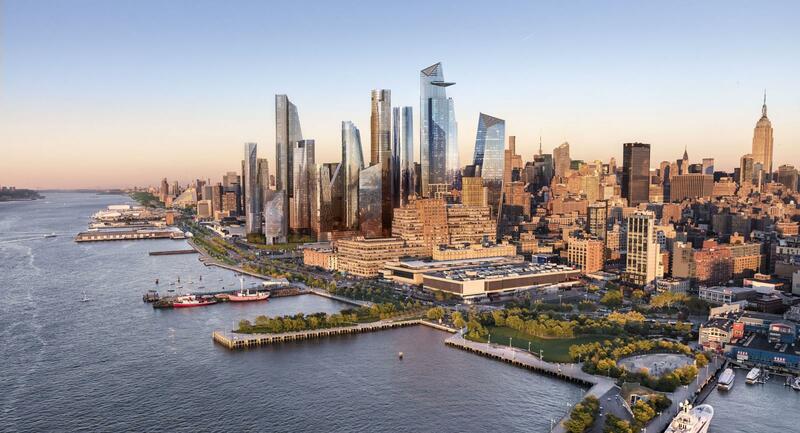 There has been movement on designing for that future; FXCollaborative, HOK, Arup, KPF, and other prominent firms have all put forward scalable designs for reclaiming the urban fabric. Speculation has already forced public officials in Pittsburgh to put together plans for integrating self-driving cars into the city’s fabric by 2030, and developers in New York are building flexible parking garages that can easily be converted for other uses. However, the key to actually enacting any of these schemes lies in large-scale government intervention. Without a concerted top-down reclamation and conversion of unused streets, AV-centric zoning policies, or renewed investment in mass-transportation options, cities will never be able to integrate AVs into their infrastructure. The largest hurdle to achieving the “good” future isn’t technological, it’s political; even self-driving evangelists have conceded that a laissez-faire approach might result in increased traffic on the road. The “bad” Uber, Lyft, Google, and a raft of competitors are already jostling to bring self-driving taxis to market so that these companies won’t have to pay human drivers. Under the guise of preventing traffic fatalities—there were nearly 40,000 lives lost in the U.S. alone in 2017—the big players are lobbying all levels of government to allow their AVs on the street. If vehicle miles traveled per person in AVs were allowed to increase without intervention, society could slide into an ugly scenario. This dystopic outcome would see mass transit hollowed out by a lack of funding and pedestrians shunted out of the streets in the name of safety. Studies have already shown that existing ridesharing services increase congestion and cause bus services to deteriorate, and if commuters get fed up with slow commutes and turn to ridesharing services, mass transit options could be sent into death spirals due to decreased revenue. Driverless cars are often touted as being spatially efficient, especially as they can join each other to form road trains—tightly packed groups of vehicles moving along optimized routes. But considering how much space on the road 40 bicycles or 40 commuters in a bus would take up, the flaw in that thinking becomes self-evident. Even if artificial intelligence can route traffic more effectively than a human, putting more cars on the road offsets the gains in speed by decreasing the amount of space available. Although computers might be great at coordinating with each other, the external human element will remain a wild card no matter what. Well-planned cities that prioritize walkability and ground-level experience would place pedestrians over passengers, but a worst-case scenario could see cyclists and walkers forced to wear locator beacons so that AVs could “see” them better, while hemmed in behind fencing. The “ugly” The worst driverless car scenarios take Le Corbusier’s famous claim that “the city built for speed is the city built for success” to heart. The high-speed arterial thoroughfares Corbusier envisioned in The Radiant City were realized in the destructive city planning policies of the 1950s and '60s, but municipalities have spent heavily to correct their mistakes 50 years later. Much in the same way that widening roads actually worsens traffic, if planners and architects ignore or give deference to driverless cars and continue to prioritize car culture in their decisions, congestion, gridlock, and withered public transit systems are sure to follow. The adoption of self-driving technology will likely birth new building typologies with unique needs, from centralized hubs where the cars park themselves to AV repair shops. As futurist Jeff Tumlin, principal and director of strategy at Nelson/Nygaard, points out, self-driving cars aren’t a new concept. Their lineage can be directly traced to ideas introduced by GE at the 1939 World’s Fair, but this is the first time that the technology has caught up with the vision. Planners and politicians have had 80 years to grapple with solutions; they can’t afford to take any longer. 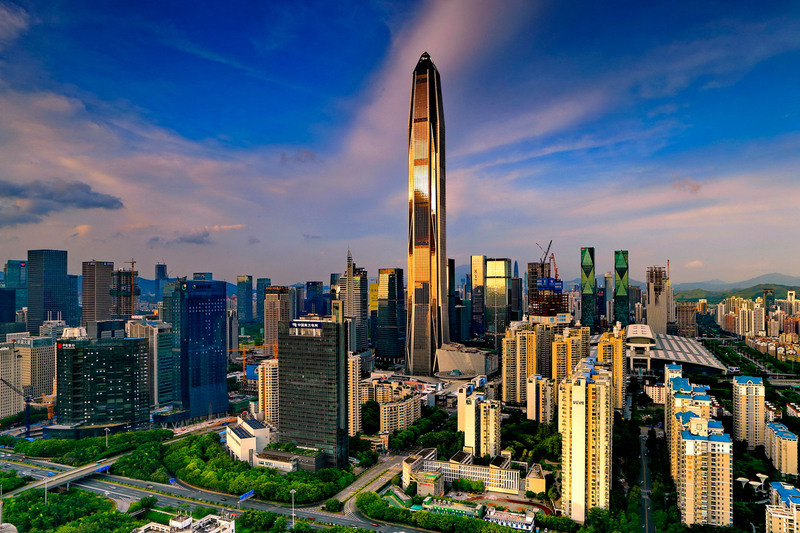 The Lotte World Tower rises from bustling Seoul, South Korea, as a sleek new city icon. For the team behind the 123-story building at global architecture firm Kohn Pedersen Fox (KPF), creating this seamless silhouette meant a challenge of engineering ingenuity—and quite a bit of glass. 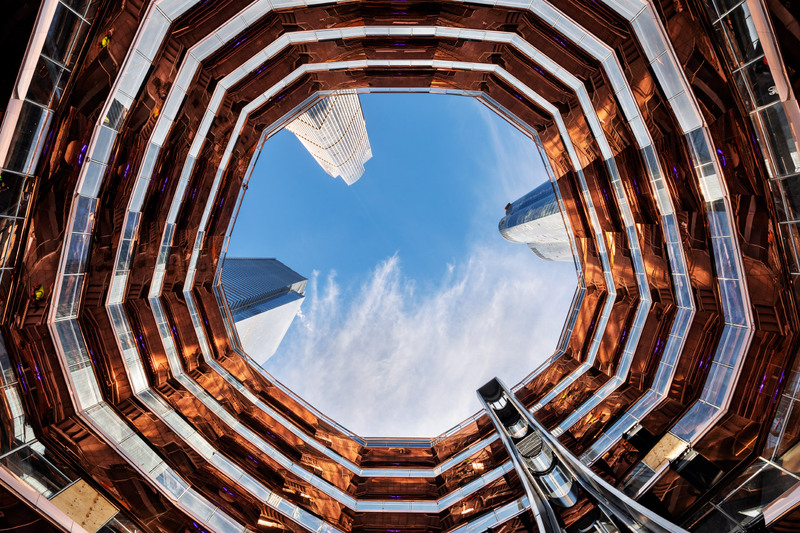 “Even though it looks like one big monolithic tower, there are 20 different types of glass on that tower,” explained KPF’s Richard Nemeth, managing principal for the project, which opened earlier this year. 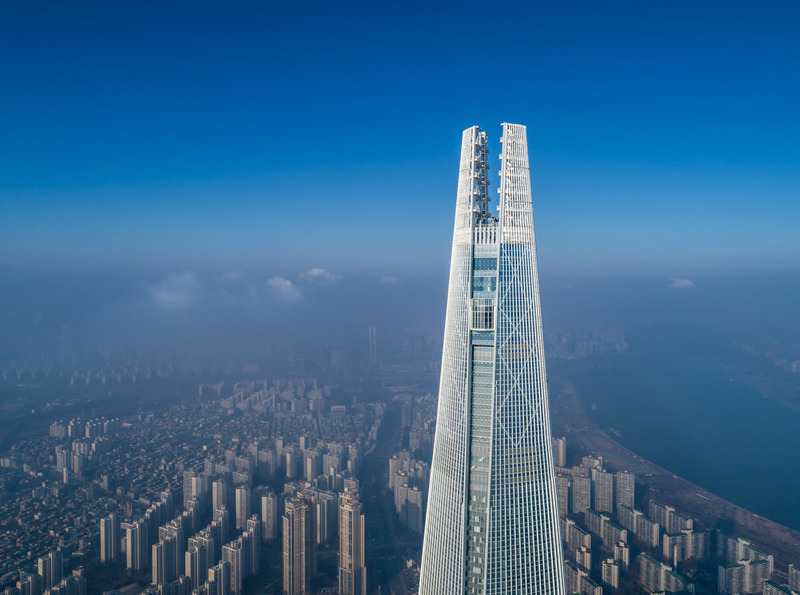 The 1,821-foot-tall silhouette was inspired by traditional Korean forms like pottery and paintbrushes, but its multiple functions helped dictate the form as well. Office space is located at the bottom, while the tower tapers in two directions—“think football instead of baseball”—offering smaller spans from core to glass toward the top of the tower, where the residences, hotel, and observation deck are located. At the base, a 100-foot-tall lobby utilizes a gradient of mirrored frits on the glazing to provide shading while accommodating views at ground level; at the top of the tower, frits were used to highlight the diagrid of the belt trusses. The residences utilize laminated safety glass on the inner lite with heat-strengthened glass on the outer lite, while the hotel and office sections use heat-strengthened glass for both. To keep the building from looking like a “giant patchwork quilt,” Nemeth said, the KPF team ensured that the outer lite is always the same thickness, with the reflective coating on the number-two surface. “Then, whatever you do on your inner lite is much less visible to the outside, because it’s inside the reflective coating,” he explained. While the world’s fifth-tallest building includes a number of innovative energy-saving strategies, for many visitors the tower’s crowning achievement is the glass-floored observation deck—the world’s tallest. Cantilevering out, it offers views some 1,600 feet down—with just three layers of 10-millimeter-thick tempered glass with SentryGlas Plus interlayers separating viewers from the ground. The team chose to collaborate with Boston Valley Terracotta, and the two companies have been working on the glaze since 2013. Terra-cotta is included throughout the entire tower—including the podium—and there is a series of cuts at the base whose underside is entirely made up of terra-cotta. The spandrel zone has diagonal pieces of white terra-cotta that extend from the base to the very top of the tower. The curtain wall is double-glazed, double-fired terra-cotta, the structural system is extruded aluminum, and there is a high-performance glass on the vision—it’s an IGU with a Low-E coating on the number two surface, provided by Guardian. The gold metal fenestration that doubles up as a shading device is composed of back painted glass with a metallic finish, supplied by Permasteelisa. The building partition is four interlocking sloped masses, which provide air and light down to the street. “This is something that’s really important for the city of New York,” stated Zlateva, “so we worked with the Department of City Planning to make sure that our building angles complied with their light and air requirements.” At the base, those four tapered volumes get sliced in order to create a view corridor to Grand Central. This will mark the first time in a century that pedestrians will be able to see the corner of the terminal from 42nd Street. 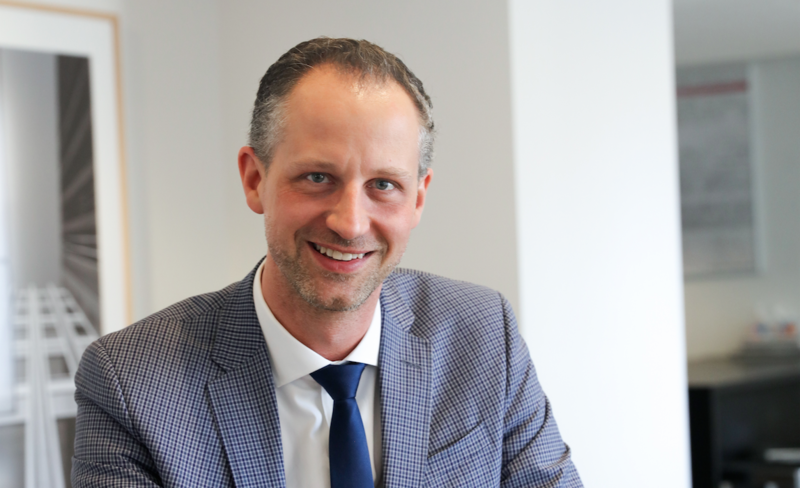 Jeffrey Shumaker, former head of urban design for the New York City Department of City Planning (DCP), has joined global firm Kohn Pedersen Fox (KPF) as director of urban planning and design. Shumaker comes to the firm's New York office fresh from his role as the chief urban designer at DCP, a job he held for a decade. In that position, he played a crucial role in planning neighborhoods like Queens's Hunters Point South, Manhattan's Midtown East, and Brooklyn's Coney Island. He holds dual masters in architecture, planning, and urban design from MIT and a bachelor of architecture from Syracuse University. At KPF, he will extend and deepen the firm's planning projects through the KPF Urban Interface, a data analytics–driven initiative to design and plan cities, as well as work locally and internationally in the vein of projects like Hudson Yards and Korea's New Songdo City. "I am very excited to join KPF to help lead their master planning and urban design efforts globally, applying my experience in New York and other urban centers to their ongoing and upcoming projects around the world," Shumaker said, in an emailed statement to The Architect's Newspaper. "I look forward to bolstering the firm’s expertise in shaping and enhancing the public realm, much as I have done over the past ten years working for the City of New York. I’m thrilled to be returning to the private sector and to be working within an architecture practice that is deeply experienced in and well-respected for creating some of the world’s most complex and interesting urban places." 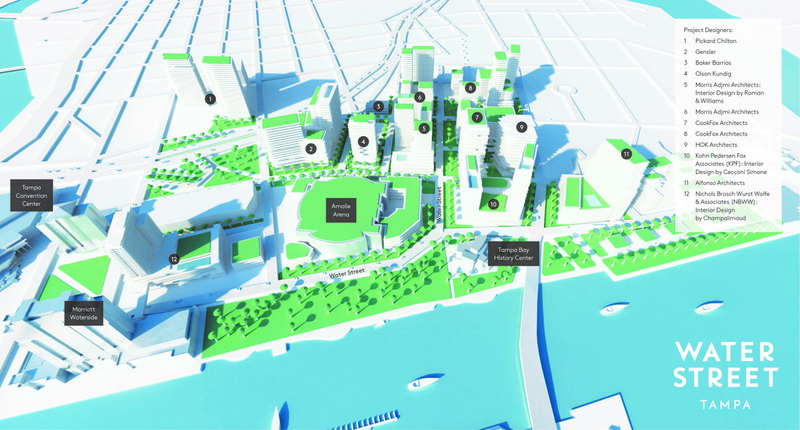 Tibor Hollo, developer and president of Florida East Coast Realty (FECR), recently indicated a 40-month construction timeline for One Bayfront Plaza, a 92-story tower in downtown Miami designed by New York City–based Kohn Pedersen Fox (KPF). In an interview with The Next Miami, Hollo referred to the project as “the building of the future,” touting its 104,000 square feet of retail space and direct connection to the Metromover transit station across Biscayne Boulevard. The tower will stand 1,049 feet tall, curtailed only by the Federal Aviation Administration which limits the maximum buildable height in Miami’s urban area. 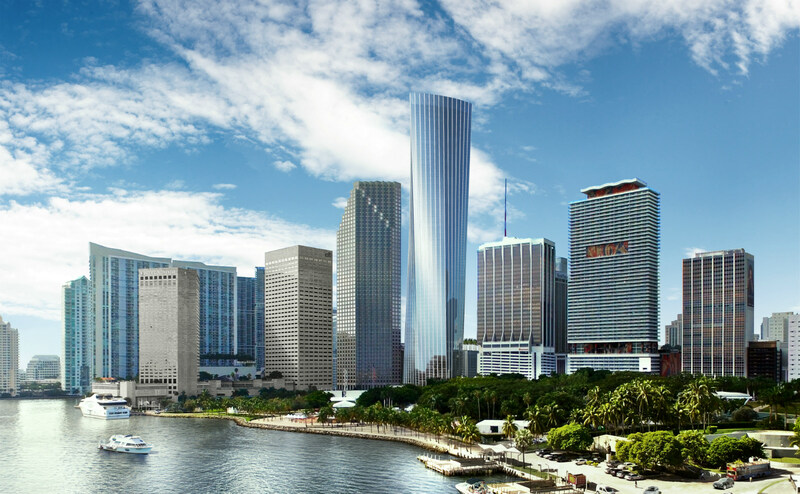 However, despite this limitation, One Bayfront Plaza will be Miami’s tallest tower, soaring a couple hundred feet higher than the imminent Panorama Tower, which will apex at 868 feet when completed. (Miami-based Arqitectonica is also designing an 80-story tower in nearby Brickell, though no word on its exact height yet.) Apart from its superlative height, the tower also breaks formal ranks: It's shaped with sinuous contours that contrast with the rectilinear silhouettes of downtown. The tower starts as a triangle at the base and seemingly twists as it rises into the air. According to Hollo, the tower will house more than 900 living units, a 200-key hotel, and 532,000-square-feet of office space. Construction is set to begin in January 2019.